Awesome geeky merchandise being in the kid’s section of stores has never stopped this geek, and it shouldn’t stop you either! Just because some marketing or licensing department thought such-and-such item should be for kids instead of adults, or boys instead of girls, should never stop you from wanting it, and getting it. 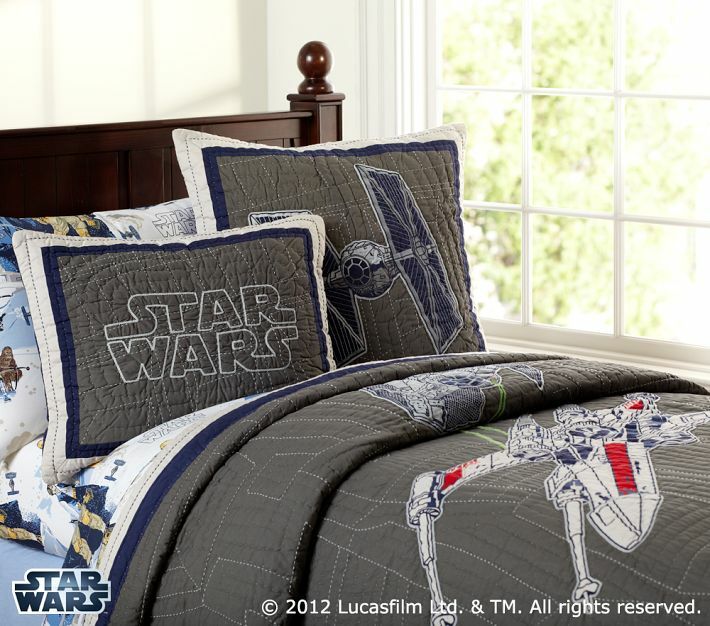 That’s definitely true when it comes to the awesome geek-themed bedding that can be found at Pottery Barn Kids. 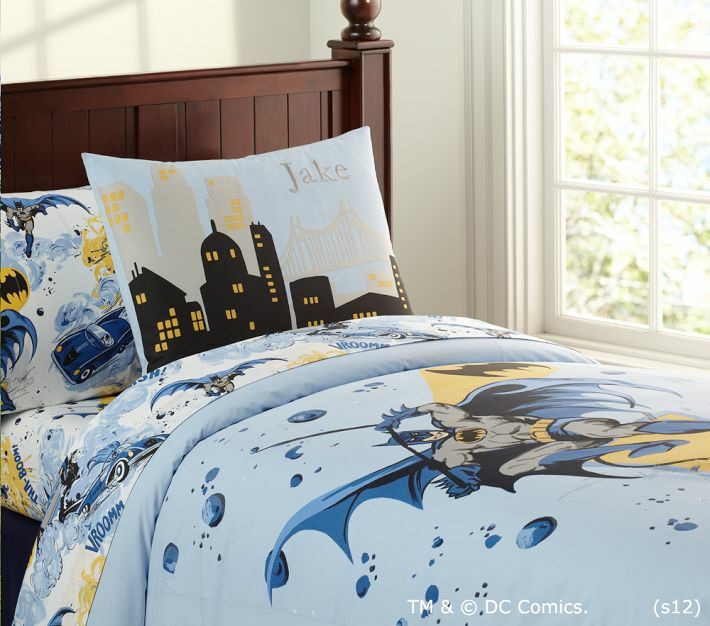 Pottery Barn Kids has a great selection of geeky bedding, which is mainly Star Wars, but also includes Marvel and DC. 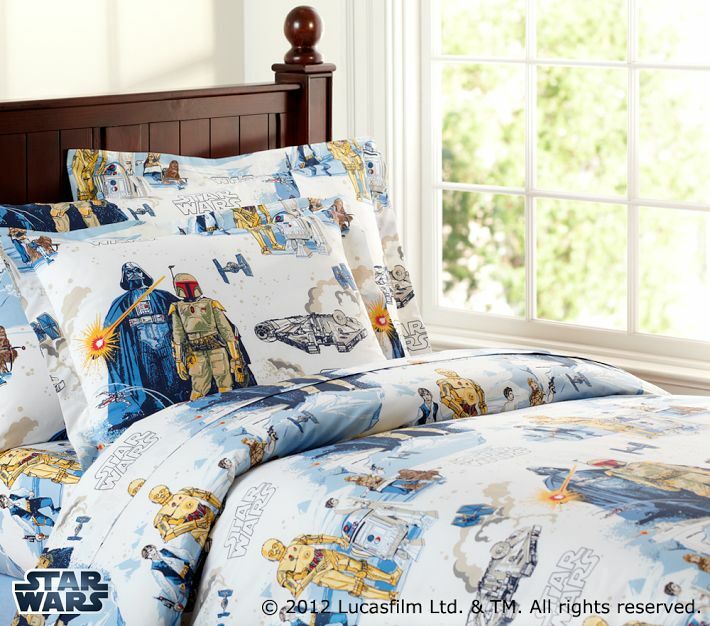 You might remember this post where we covered Target and the new Star Wars and Spider-Man bedding they had released this year, which seems to be their attempt to compete with the Pottery Barn selections. The Target bedding comes at a great price point, but if you’re able to spend more, Pottery Barn still offers a lot more variety. 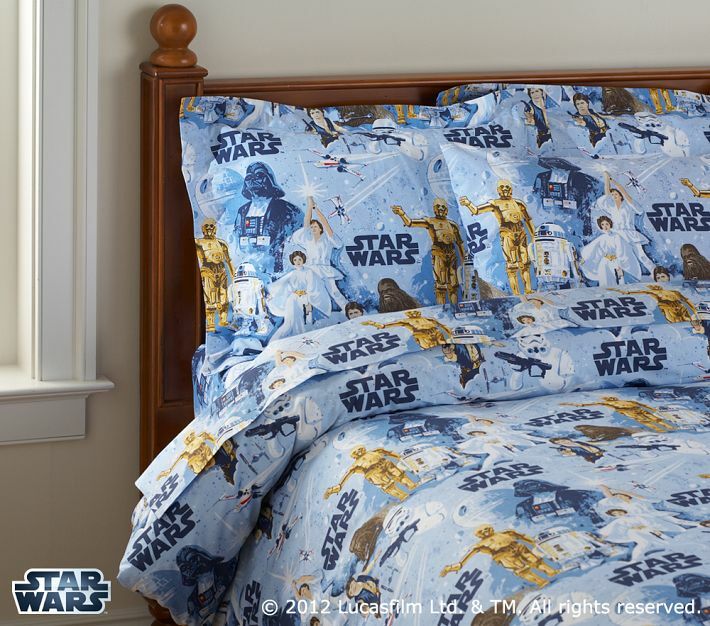 Their most extensive bedding collection is Star Wars, offering a variety of options in sheets, pillows, and covers. 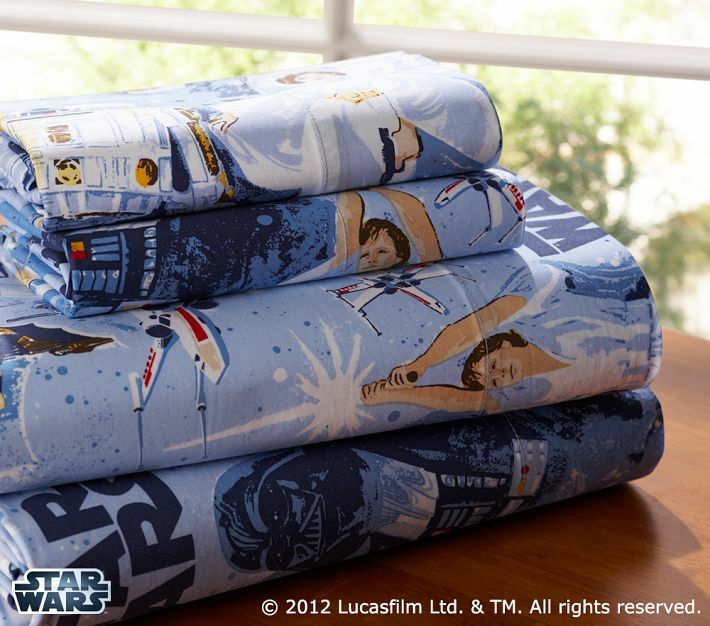 Their Millennium Falcon/X-Wing quilt is a great piece and would add a bold and stylish geeky touch to any bed. 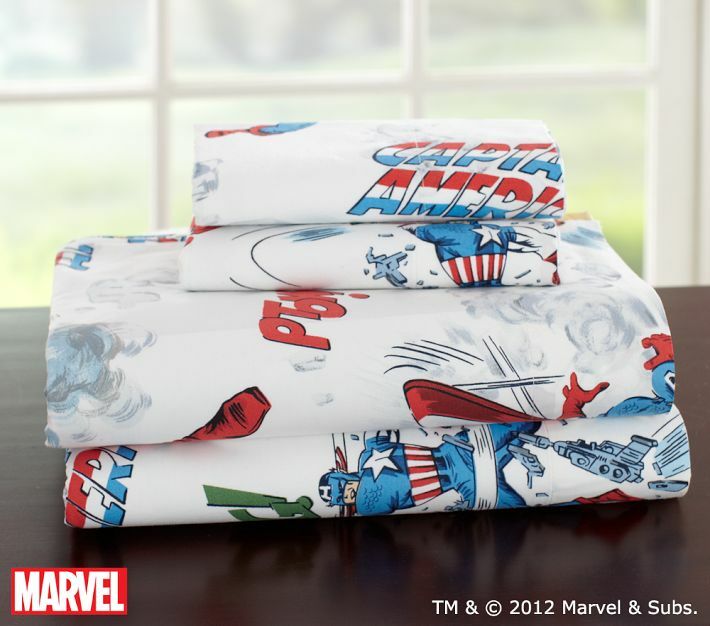 Or you could have some fun with these sheets and duvet cover options. 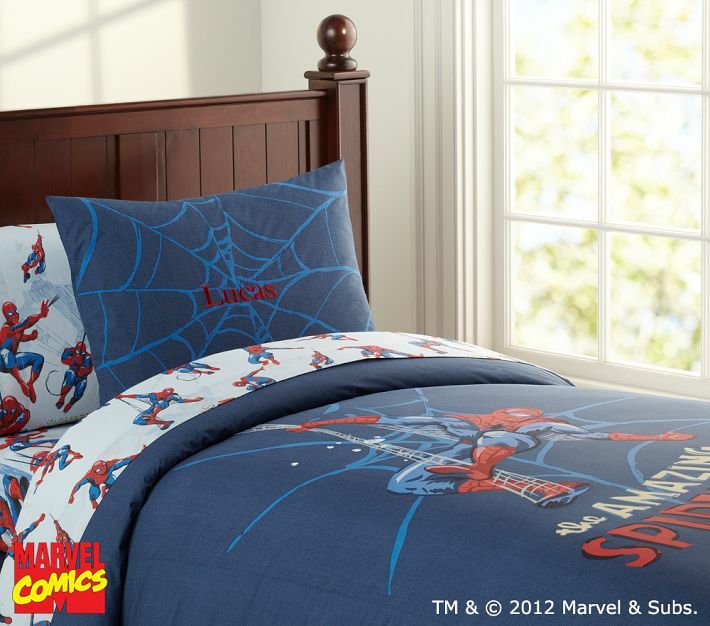 If Star Wars isn’t your thing, then try geeking up your bed with Captain America, Spider-Man, or Batman. These are only a few of the great items listed on the Pottery Barn Kids site. The best way to find the geeky merchandise is to use the keyword search, or to use their feature on the bottom of a product page where it shows you other similar items available. 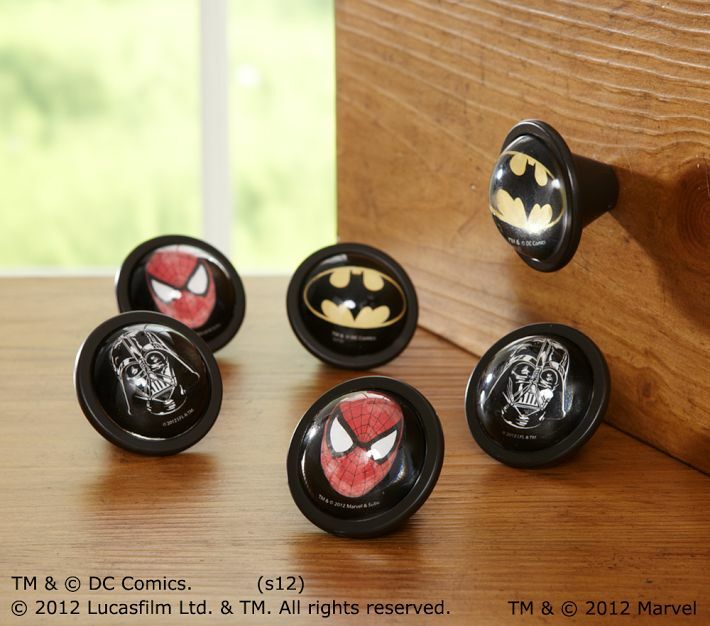 You’ll find other fun items like these nifty drawer knobs! 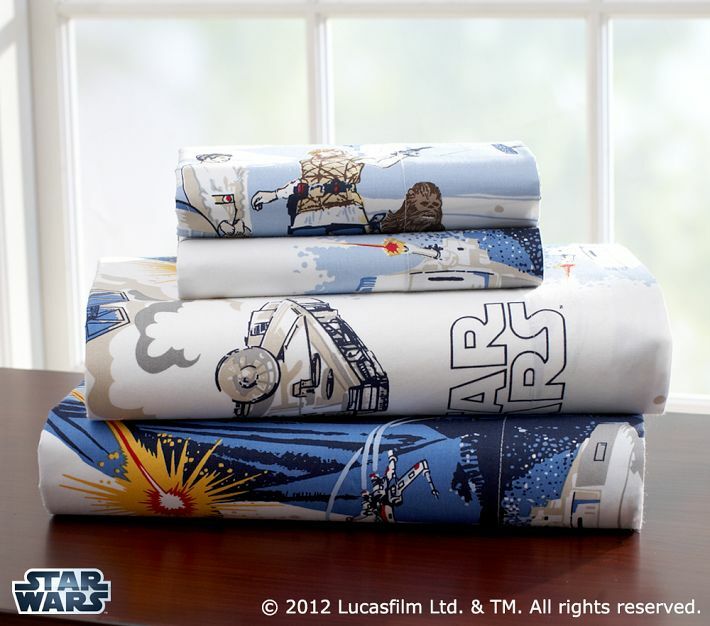 Do you have great finds for geeks of all ages that you’ve only found in the kid’s section of stores? We’d love to hear about it! And we’d love to know if you’ve picked up any of these great items from Pottery Barn Kids. Feel free to share it with us on our Facebook Page.